Water Damage Emergency Tips: What Needs to be Done Now! • Begin removal of water by extraction, blotting or any safe means possible, remember that electricity needs to be shut off in many cases for safety. • Collect all small contents and place into a dry area, remember pictures in the flooded room may be in need of removal to stop humidity damage. • Use a moisture proof product like wax paper, tin foil, plastic under furniture legs and wood blocks if possible for items needing more support. Make sure anything used is pigment free. • Use a coat hanger to lift draperies and check that furniture skirts are out of contact with the flooded floor. • If HVAC system is unaffected, turn on the heating system with fan on. • Gather all rugs, pillows, and small furniture to a dry area. Even if some of these smaller items have been temporarily supported, moving them to a stable environment helps a lot. • Check over the affected room/s and review what more can be done. • Take as many pictures at the start and through the process for documentation and be prepared to forward these to those in the line of professionals employed to restore your home. Water Damage Tips: Dangers to Avoid! • For your safety, Avoid areas contaminated with sewer water. 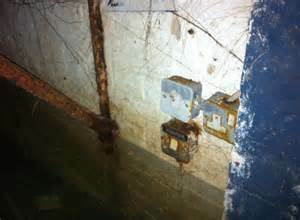 • Never step into a flooded area before knowing the electrical situation is safe. • Be sure the extraction equipment is not your own household vacuum intended for dry extraction only. • Before you enter a room that is cleared for electrical safety, be sure the ceilings are safe from affected drywall or other ceilings that may be ready to fall. • Do not turn on the HVAC until it is determined as safe and operable. • Do not set wet contents on anything or leave in the wet area. • Be careful, children, elderly, pets or allergen prone persons do not enter the affected areas. These are the minimum basic concerns that need to be addressed in the event of a flood. We hope this listing will help you with the initial needs to stop damages from becoming worse. What to know about your rights! • Take time to alert your insurance broker so an adjuster representing your insurance company can be assigned right away to your loss situation. • A restoration professional can be hired by yourself , or be recommended by your adjuster. However, you have the right to chose who works in your home. No one can force you to have a company provide these services in your home and should not guilt you, or in any way set a threat in your mind, as to who should be used or not. It is your satisfaction that is most important. Reasonableness is a must with all parties involved to produce the desired end result. IMPORTANT! The lowest price does not reflect the best choice. Usually it comes with a lot of exclusions or undisclosed costs that will hold up due process in the interim of the claim. Other competent contractors may have to be called in to complete the project due to poor handling of a claim. REMEMBER! All companies and/or trades, Adjusters, Engineers, professionals of any representation, can be dismissed and replaced, if they are not bringing your claim to a satisfactory result. • It takes time to process the paperwork required for a claim and to line up the restoration process, from dry down to completion. Several months will be required to complete most claims, depending on size. An average timeline expectation for smaller claims is up to three months and larger claims, six months. Some, in lieu of the work load on all professionals involved will take much longer, as in many cases, losses involve many homeowners and/or businesses at the same time and depending on the cause of the flooding. The Water Damage Restoration Process explained. Determination of the extent of the damage using moisture reading equipment, that detects hidden moisture levels in walls, floors, and ceilings, and other structural components. 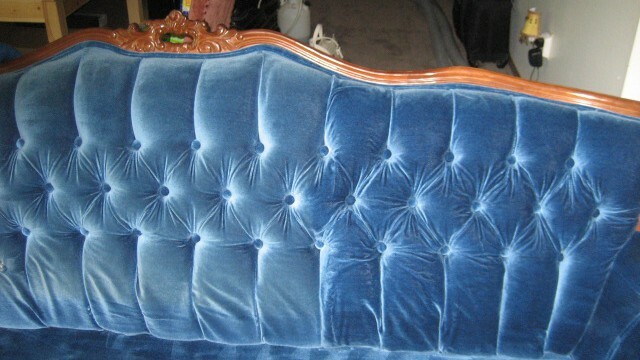 Working through contents that are salvageable, which may need repairs, and whether the carpet can dry in place or needs to be removed for cleaning. As soon as possible, water extraction, using powerful, industrial equipment will be done. A detailed plan to safely remove moisture as quickly and economically as possible, called the dry-down will be put into operation. Inventory and pack-out services, may be offered by the company to assist you in pack out of your possessions, to store, and/or clean. Industrial drying equipment such as dehumidifiers and air movers specifically designed for the drying process, will be installed to speed the moisture removal process. Drying of floors, walls, and structures, contents in place as needed, is especially important, as it reduces the potential for mold growth and secondary water damage. The dry-down will be monitored. A record of moisture levels, will be kept to make necessary adjustments until the proper level of humidity for a healthy building has been reached. In the case of sewage, cleanup and decontamination will necessitate more involved processes of cleanup and anti-microbial applications, before, during and after reconstruction. 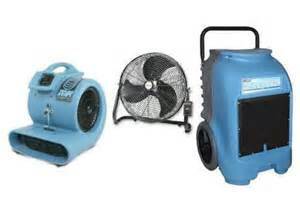 Dry-down equipment examples, that may be employed on a loss. Odors as a result of water damage ,will fade as the drying process comes to fruition, however in some cases, special processes and equipment will be used to knock down odor. 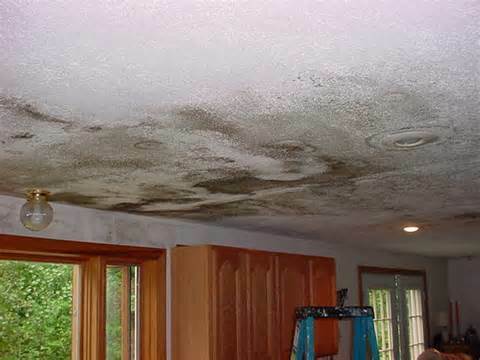 Should mold be detected, mold remediation processes for removal, will be implemented to clean and sanitize the areas of concern, to prevent needless migration of mold spores. Contents, best dried in the environment, may also be in need of specialized repair. Some companies offer documentation for restoration of business equipment, electronics and contents. 4. Carpet Re-installation, Cleaning, Deodorization and Fabric Protection. Re-installation of the carpet and pad as required, having been removed, or, dried in place, will be done. A restorative carpet cleaning, including appropriate applications of deodorization, sanitizing and fabric protection will also be done. Contents, stored, saved and replaced will be repositioned, if part of the companies agreement. A full and final cleanup will be done to dust down the restored home and may include a furnace cleaning procedure along with filter replacement. Once all is done, the property should be back to it’s original state or better and the owner should be more than satisfied.